Sergio Aguero ensured that Manchester City prevailed in a compelling Manchester Derby. With the full-time whistle blown and time to reflect, here are 6 things we learned from Man City's 1-0 win over Man United. Manchester City's Sergio Aguero scored his tenth Premier League goal of the season — and that's in just 8 games. His goal was the difference as Manchester City won the derby, but it wasn't just the three points he took for his club, he send out a corresponding statement of intent. Diego Costa comes close, but Sergio Aguero is currently untouchable in the Premier League. When fit, he is the best asset to the league by a long shot. The unprecedented ability of turning up for the big and small games and managing to score is what will keep Man City in the thick of the title race. According to WhoScored.com, the Argentine has a shots-per-game ratio of 4.8 in the Premier League. Scoring 10 goals so far in those 8 games are a testament to his efficiency. It's uplifting for players knowing that if they give him the ball, a goal is highly likely. Manchester City scored one goal against Manchester United on Sunday. If it wasn't for De Gea's fantastic performance, they could have had a few more. Voted Manchester United's Player of the Month for October, the Spaniard is suddenly relishing in life at Old Trafford. Even if the league performances have been unsteady for the club overall, his performances between the sticks have been sensational. Without many of the key saves, like against Everton or most notably Chelsea, Manchester United would find themselves in a much worse place than they are now. During the Manchester Derby, he stopped the onslaught just when City were beginning to really play well. Navas' shot was thwarted, he stood firm against Aguero and was only beaten by a top-finish from the Man City striker later on in the game. Prior to the game, Antonio Valencia replaced Rafael in the right-back position after the Brazilian picked up a knock in Thursday's training session. Marcos Rojo suffered a severe shoulder injury in the derby, putting the club at a strain for their quality. Injuries are part of the parcel when it comes to football, but this is a real concern now. Along with Smalling's red card Manchester United could really be in some trouble. They may have bolstered their attack, but its now their defence that's coming back to haunt them. You can't accuse Van Gaal of anything but many will suggest it from the Tweet above, something may need changing or it could get worse and move towards a calamity. One statistic defined the Manchester derby, it was the 1 red card for Manchester United. Insisting throughout his press conferences, Van Gaal made it crucial that his side kept 11 men on the field and to not get carried away by the occasion. Seven minutes from halftime, Chris Smalling was sent off. Receiving his second booking, the English centre-half made two woeful and misguided errors that would lead to his marching orders. Not only was it unwise, but it would have also angered the manager. During his suspension, Smalling may not even be guaranteed a returning place dependant on Van Gaal's view. For him to get a red card so stupidly will hinder his chances. Then again, the point above could come into play. Manchester United's injuries could force Van Gaal to put that to one side and play him, or things shall only get worse. But the fact of the matter is that Smalling is now on Van Gaal's bad side. After a difficult start to the season where he came under fire for poor performances and lack of passion, Yaya Toure picked up the Man of the Match award in the Manchester Derby as his response to critics. There was something vitally different about the Ivorian in the game. Any time he picked up the ball in the middle of the park, City had a new edge to them and he flourished in the attacking midfield role. Should he manage to keep up performances like that, he will emulate the player that got him on the 2014 FIFA Ballon d'Or shortlist. Vincent Kompany said it himself, Manchester United played brilliantly to close out the Manchester Derby. Even with ten-men, they almost got a point against the hosts, but at the end of the day it all pivoted on the red card. They turned up and performed in the big games. Drawing against Chelsea, beating Everton and falling short against Manchester City. But, they have faced the bottom four and still had their worst start to the season. Stringing together consistent results is what they need, they must turn up with the same standard of play for any opponent and then success and results shall come with it. The Manchester Derby is in the books. It was dramatic, compelling and what comes from it remains to be seen. 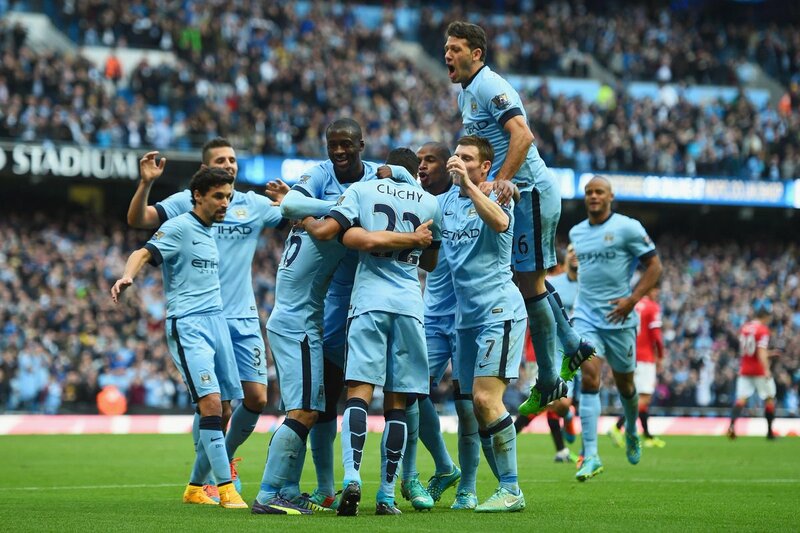 A look at the things we learned from the Manchester Derby contested on 2nd November 2014.